Dr. Nielsen was featured on TV Globo International. 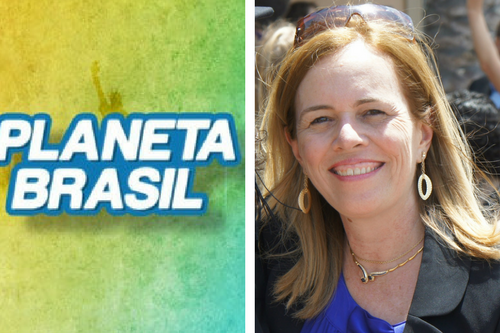 UCLA International Institute, October 11, 2017 — TV Globo International’s “Planeta Brasil” has profiled Dr. Karin Nielsen, director of the UCLA Center for Brazilian Studies and professor of clinical pediatrics in the division of pediatric infectious diseases at the David Geffen School of Medicine at UCLA and Mattel Children’s Hospital UCLA. The profile covered her research into Zika and HIV, as well as how she came to the United States and became part of the UCLA faculty. The show aired on the TV Globo International Channel on Saturday (09/30/17) at 7:02 PM ET / 4:02 PM PT, Sunday (10/01/17) at 2:04 PM ET/ 11:04 AM PT and on Wednesday (10/4/17) at 11:36AM ET / 8:36 AM PT. It is now available online on the "Planeta Brasil's" website: www.globo.com/planetabrasil. CLICK HERE to watch the segment. "Planeta Brasil" is a TV show broadcast by Globo International, the international channel of TV Globo (the largest television network in Brazil). Globo International is the first Brazilian channel distributed abroad via satellite, cable and IPTV, with digital quality, 24 hours a day. Its programs target Brazilians and other Portuguese-speaking audiences outside Brazil. The channel is broadcast in Europe, Africa, the Americas, Australia and Asia. The "Planeta Brasil" program features the best of Brazilian culture, business, news, sports, health, education and entertainment in the United States. The show has been on the air for 12 years and has successfully built a bridge between Brazilians living abroad and their home country.